Nigel Richards President, Heart to Home Meals. For the men and women who took part in the Second World War, there was a pattern of behaviour, after the fighting ended, that was both respected and celebrated. It involved the reluctance to speak about what they had witnessed and the issues they had to deal with physically or mentally. For decades, this has been the case, but in recent years some of those veterans have felt it important to have their voices heard, in the hope younger generations will neither forget nor repeat the same mistakes that led to so much destruction. More than a million Canadians served in the Second World War in the Canadian Army, Royal Canadian Navy, Royal Canadian Air Force, and in forces across the Commonwealth. More than 44,000 lost their lives and 55,000 were wounded. With every passing year, more of those who did so much for this country succumb to illnesses or old age. Prince Harry shakes hands with 101-year-old WW2 veteran Norm Baker on day six of the Invictus Games on Sept. 28, 2017 in Toronto. One of the great thrills of working at Heart to Home Meals is having direct contact with people who want to maintain their independence. All have great stories to tell, but few can match Norm Baker from the Greater Toronto Area. He recently celebrated his 101st birthday. He says he needs to remain busy to keep up with his wife, Eileen, who is only 94! Norm, like many seniors, does not like to slow down. He did not retire until he was 70 and even today he still drives (like many of us, he prefers to avoid downtown Toronto when he is behind the wheel). It is hard not to be impressed by a man who so casually drops into the conversation a recent meeting he had with Prince Harry, after the prince sought him out for a chat. The meeting took place when Norm was attending an event at the Invictus Games in Toronto. He appeared on the stadium screen to thank the prince for giving soldiers a reason to recover from their injuries. Prince Harry then immediately went to Norm to personally thank him for his service. 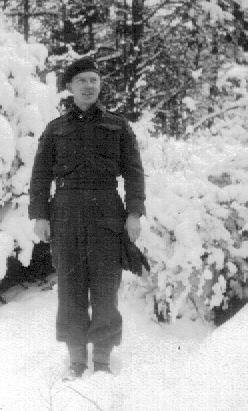 Norm was shipped with The Royal Regiment of Canada from England to France just a few weeks after the D-Day invasion and landed on Juno Beach. He then moved through Belgium and Holland before reaching Germany, ending up just a few miles from the Nazi concentration camp in Belsen. In the years after returning home, Norm wanted to forget what he and his buddies had experienced and refused to talk about had happened. But even today, he says, some memories stick in your mind and you can't get rid of them. Like so many veterans, the physical toll was much easier to overcome than the psychological. Norm says when he first arrived home, he was so used to sleeping on hard surfaces that he slept on the kitchen floor for a couple of weeks and gradually got himself familiar with home comforts and a proper bed. But the memories of the scary moments never left him. The most terrifying was when a mix-up over signals between the army and the air force resulted in his regiment being bombed by Allied planes. "It was complete confusion and we lost lives there," he recalls. The fatal outcome caused by poor communications is one of the reasons why Norm is keen to take up any offer to talk about his experiences. And around this year's Remembrance Day, he'll be giving talks to school kids and also speaking at an event at his local church. For all veterans, Nov. 11 can be an emotional day because they know, more than most, the true price of sacrifice. Our team meets veterans on a daily basis and feels privileged to be allowed to enter their homes and have the opportunity to hear some of their personal stories. 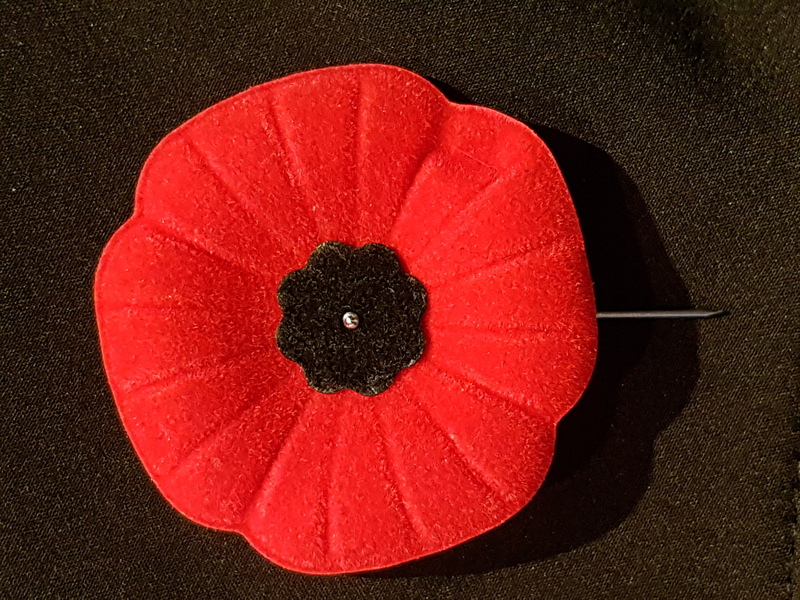 This year for Remembrance Day, Norm will be attending a ceremony at a local high school. Last year, he was in Ottawa. It is a day, he says, that "always brings back a lot of memories and sad moments." He hopes his talks to young people will encourage them to study history and to learn from the mistakes of the past. And this Remembrance Day, it is an opportunity for all Canadians to be thankful for the service of people like retired Sergeant James Norman Baker.